Japanese people love the view of the snow covered landscape seen from an open air hot bath. Is there anything better than watching the snow while warming up your body? That’s something everyone should try in the winter. Hotel Futaba that I want to introduce now is one great place to enjoy the winter landscape from an open air bath. The nearest station is Etchigo-Yuzawa that you can reach in 1.5 hours from Tokyo by bullet train. It’s an easy to access place which makes it ideal for a weekend trip. Hotel Futaba is built on a hill in Etchigo-Yuzawa. Its highlight is the number of hot water baths – there are a total of 28! Several of them are open air baths located on the roof of the hotel and can be used by men and women in changing shifts. 29 of the 78 rooms have a private open air bath too. You can try to visit as many as possible or just rent your private room – do whatever you like! Be sure to check in early. Many people come here after skiing, so the baths are surprisingly empty in the earlier hours. The best place is the roof open air bath with a splendid view to Tanigawa mountain range! Watching the snow-covered mountain ridge while soaking in the hot water is a really exquisite experience. The night view is just as attractive. The reflecting light is warm and if it starts snowing you’ll witness a truly magical scene. On the photo you can see “Sato no yu” bath. In fact on this floor there are several baths – “Sato no yu” and “Yama no yu”, baths with herbs and baths in caves, and many others. They can be used by men and women switching shifts around 8-9 pm. Be careful with the right timing if you want to soak in several of them. Next, I’ll introduce the open air baths in the rooms. They’re smaller but large enough to fit a single person. The baths on the roof are good but so are the ones in the rooms. It’s useful to have a private bath that you can use at any time – for example if you can’t sleep or before check-out. That’s your private space where you’ll be undisturbed by anyone. You can safely enter it with small children too. On the photo you can see the “mochitsuki” event (beating mochi, a sticky rice cake) held in the hotel’s lobby every Saturday. It takes place all year round regardless of the season, proving that Niigata prefecture is the land or rice. Of course, this is a great opportunity for you to join in and beat the mochi yourself! Additionally, there is a karaoke night where you can test your singing abilities. There is also a game corner and a lounge bar so you can spend your time at this hotel in multiple ways. Go to Etchigo-Yuzawa Station for shopping and eating Niigata food! Finally, let me introduce the interesting places to visit around the hotel. Well, that’s mainly Etchigo-Yuzawa Station, but you can freely spend half a day in it. Here you can try 5 types of sake out of 95 different types for just one coin, or eat fresh-made onigiri or steamed sasa-mochi (rice cake in a bamboo leaf). You can also taste miso, seafood boiled in soy, dry food, sweets and many local delicacies from Niigata prefecture. And there’s even a unique hot spring bath with Japanese sake in the water! That’s a great way to finalize your trip. As there are so many things to do on the station you won’t need to worry what to do until the bullet train comes. You can also buy local souvenirs and gifts. For many people watching the snow from an open air bath is associated with some secluded hot springs. 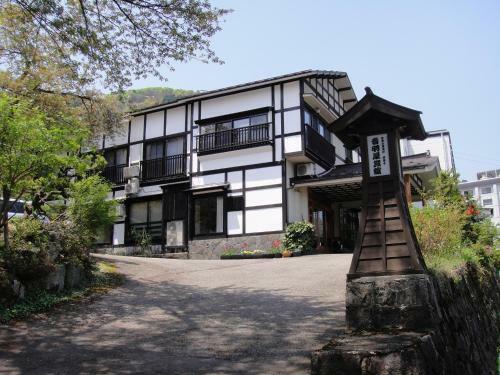 The ones at Hotel Futaba are not secluded, but they still provide a fantastic panorama, a great variety and many interesting events that will make your stay pleasant. The hotel is built on a hill so the views are good even from the windows inside. But the best panorama can be seen from the open air baths on the roof which are a must-visit for lovers of winter landscapes (which can be seen until mid-April in this area). I myself come from a region which doesn’t get much snow so seeing this landscape was something very unusual for me. I think this place offers a great opportunity for relaxing time with great views. It’s only 1.5 hours away from Tokyo. Definitely recommended as a day trip.